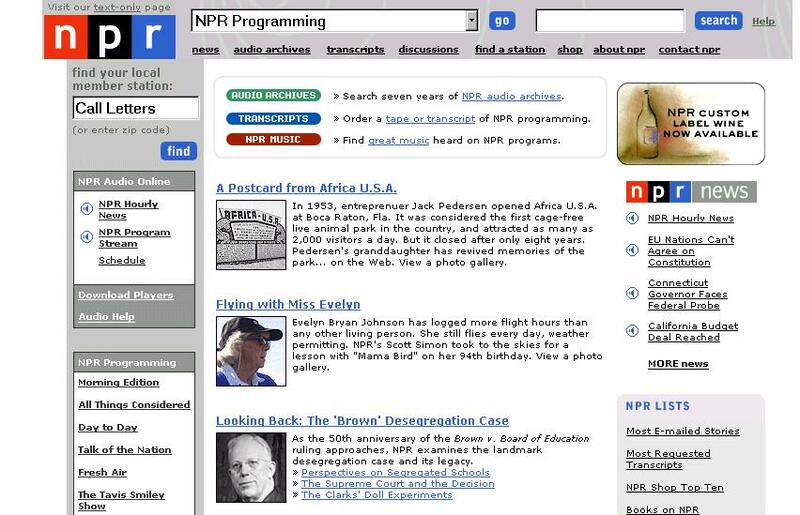 Africa USA Featured on National Public Radio! 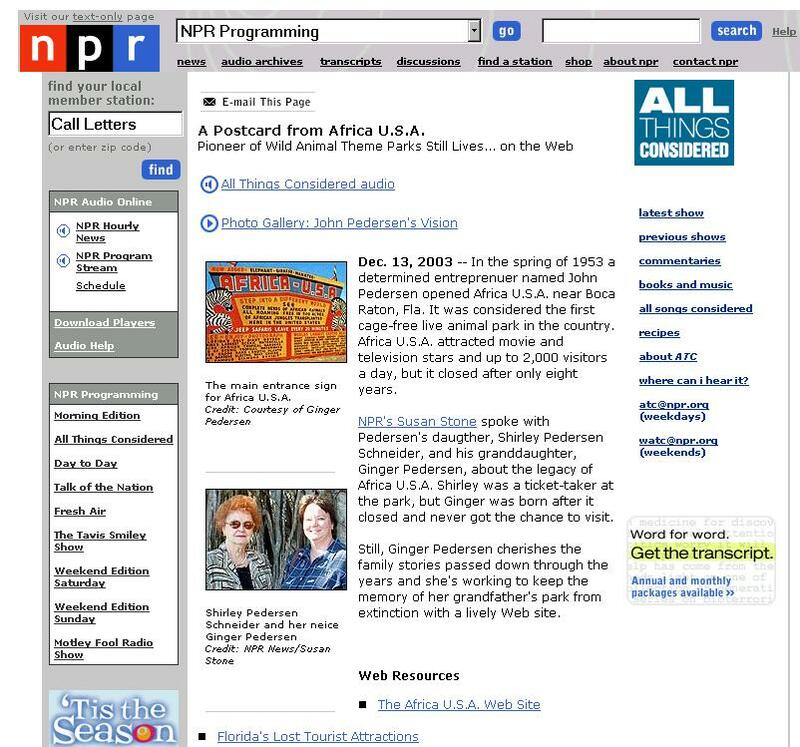 Africa U.S.A. was featured on National Public Radio's "All Things Considered - Audio Postcards" segment on Saturday, December 13, 2003. Click here for the NPR Africa U.S.A web page and listen to the audio link at the top of the page labeled "All Things Considered Audio". Screen shot of NPR Webpage featuring Africa U.S.A.